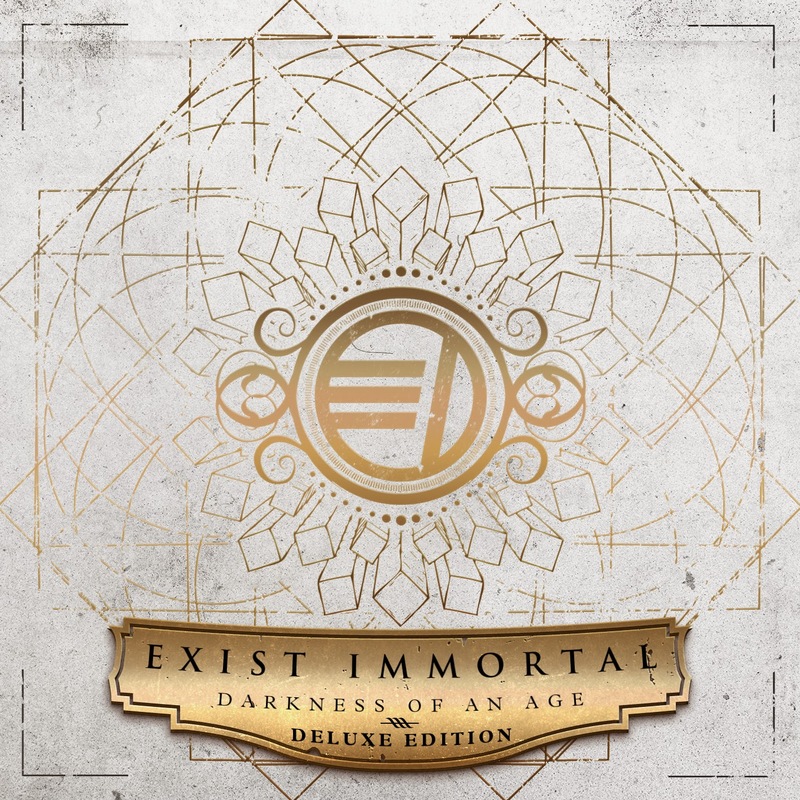 On 25th April 2014 we wrote about Exist Immortal's album "Darkness of an Age "
"The band have fused technical metal riffs, driving rhythms, epic solos with vocals that go from all out aggression to melodic clean singing. This album is recommended for fans of Bring Me The Horizon, Memphis May Fire, Fear Factory, Machine Head and Killswitch Engage." The band have now revisited the album and released a Deluxe Edition including 4 new tracks, we believe that it should be listed as the "Complete Edition" as the tracks expand the album rather than the usual b-sides tacked on the end, such as normally the case. The first of the new tracks "Delirium" should be released as a single alone with soaring vocals which float over a bed of pummeling riffs in sync with machine gun drumming;"The Void" is a heavy affair with vocals alternating between full bore roar and melodic singing keeping the listener on their toes. This is perfect song for a rock crowd to get moshing; "Fractured" turns everything up further notch with glitchy riffs and an awesome bassline. The album ends on "Insanity Project Pt 2" an almost Tool-esque piece showcasing lead singers, Myyricks melodic vocals, a fitting ending to a great album.